A Few Ideas To Help You Sell! Many who list their homes for sale tend to dismiss one of the age-old, tried and true chores that you should do before listing – De-clutter your home! Since you’re selling your home anyway, why not start packing your stuff and make your home more appealing to people who come to look. After all, when people are checking out your home they want to picture themselves living there and it’s harder if your home is full of garden gnomes or plastic angels. As with most things, a plan makes sense. Maybe start with just one section of your home each day: a shelf, a closet, the garage. You would be surprised at how much you can de-clutter by just setting aside 30 minutes each day. Just start at one corner of a room and work your way around the room. Maybe even go over the room twice. Some of your possessions you’ll want to box up for your move, but I’ll bet you have things you could donate or give away. This might make you feel better than if you just start throwing some of your things away. You can put the things you’re not sure about in a box and date it, then after you move don’t open the box for a few months. If you can’t even remember what’s in the box – give it away! For clothing, the old rule about clothes still applies; if you haven’t worn an item in six months, give it away, donate it, or sell it. Some people like to label their boxes either, “Keep it,” “Don’t need it,” or “Not sure.” Maybe when you move you’ll be so excited about your new home that you won’t want to unpack any of those three boxes. If you still aren’t sure what to get rid of and what to keep, ask someone you trust to help you go through your things. This might make it more fun while you decide if you want to keep the dusty pink unicorn that was sitting on the kitchen shelf next to the nutmeg. The main goal it to get your home in the best order possible so you can get the best price possible. Maybe after you de-clutter you just might want to give a new coat of paint to the first room buyers will see when they enter your home. And thinking about what buyers will see first, in one of my future blogs I’ll discuss ways to improve your “curb appeal” to impress buyers as they pull up to your home. There are many things you can do to help sell your property, and the most important would be to Contact Me! 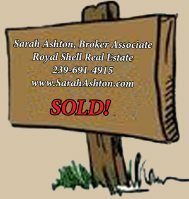 I can help you through the process of selling your home, condo, or homesite. As a Realtor and a long-time island resident, I know what it takes to sell your home. I can give you an opinion of your home's value as well as explain all the steps to reach a sucussful sale. Give me a call at 239-691-4915 or use my Contact Form to get started! I have a step-by-step plan for listing your property and I'd love to meet you get started with the sale of your property!